China and Russia were both worried about Western military action in Libya. So why didn’t they veto it when they had the chance? While the debate continues over the question of just how far the Western coalition should go in assisting Libya’s rebels, one diplomatic achievement during this whole crisis has been largely overlooked— the fact that the West managed to avoid a major row with China and Russia. Given the history of Chinese and Russian objections to such interventions, this was no mean feat. Like all Security Council resolutions, Resolution 1973—which authorised the creation of a no-fly zone over Libya, and the bombing of ground targets—left considerable room for interpretation. 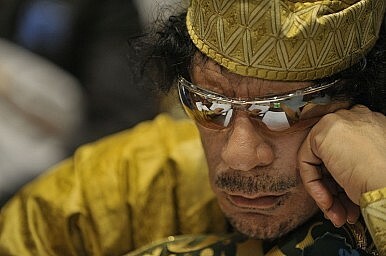 The resolution authorizes UN members ‘to take all necessary measures…to protect civilians and civilian populated areas under threat of attack in the Libyan Arab Jamhariya.’ The question that has arisen in subsequent debate, of course, is how extensively the coalition is now authorized to use air power against Col. Muammar Gaddafi’s ground forces to assist the rebels’ advance. The problem that should probably have been foreseen, though, is that the resolution’s approval of force has meant different things to different people, and there is now uncertainty over where the line should be drawn between protecting civilians and assisting in the overthrow of the Libyan regime. Certainly, Russia and China quickly saw Operation Odyssey Dawn as having overstepped any line that might have existed. The Russian government, for example, called on Britain, France, and the United States to cease their air strikes, describing them as ‘non-selective use of force’ against non-military targets. In Beijing, Foreign Ministry spokeswoman Jiang Yu expressed ‘regret’ over the Western military strikes. Chinese concerns over the potential for a protracted civil war aren’t surprising—China is still trying to manage the break-up of the Sudan, an important oil supplier, and Beijing therefore isn’t keen to repeat the experience anytime soon. A flare-up in Bahrain could spark a regional conflict between Sunnis and Shias. If it did, the US would be left with the question of how to handle China.